Smelly feet and shoes getting the best of you? Then try me! 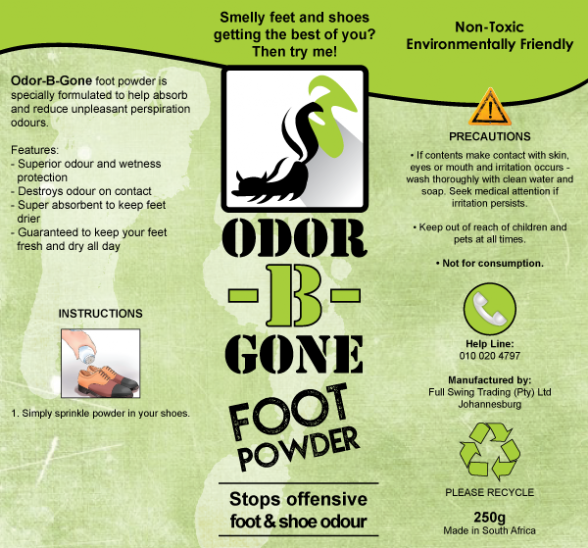 Odor-B-Gone foot powder is specially formulated to help absorb and reduce unpleasant perspiration odours. 1. Simply sprinkle powder in your shoes. Does the neighbours notice when you take your shoes off? Not to worry OdorBGone will remove the smell and kill the fungus that causes the smells.